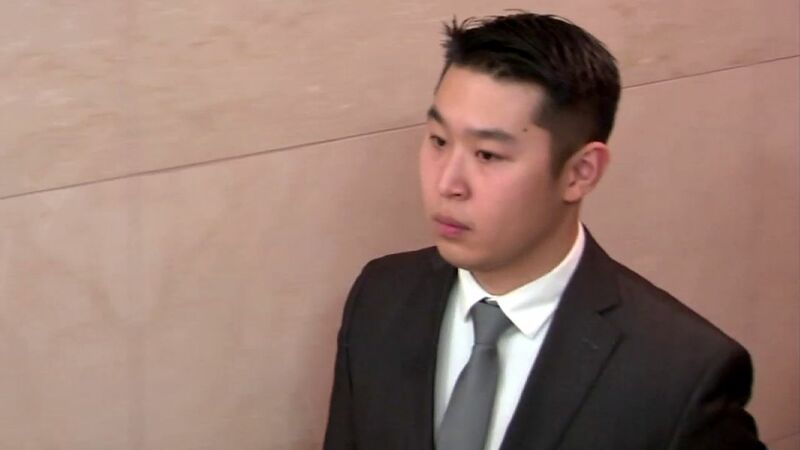 NEW YORK (WABC) -- A former NYPD officer convicted in the accidental shooting death of an unarmed man in a darkened stairwell has dropped his appeal, sources said Wednesday. Peter Liang was sentenced to serve five years probation and 800 hours of community service in the 2014 shooting of Akai Gurley in Brooklyn. Gurley had been walking down a stairway in a public housing complex when the rookie officer fired a bullet into the dark - by accident after being startled, he said. The bullet ricocheted and killed Gurley, 28. A jury convicted Liang in February of manslaughter carrying up to 15 years in prison. But the offense was reduced to criminally negligent homicide. An earlier attempt to throw out his conviction failed. The district attorney's office planned to appeal after the judge reduced the verdict; Liang also said at the time he would appeal the conviction. Liang was the first New York City police officer convicted in an on-duty shooting since 2005, and the verdict prompted an outpouring of demonstrations on both sides of a closely watched case. Some members of Gurley's family had said they felt betrayed by prosecutors' recommendation for no jail time and had hoped Liang would be sentenced to prison. Meanwhile, Liang's supporters have said he has been made a scapegoat for past injustices. More than 10,000 of his backers rallied in New York and across the U.S. after the verdict, protesting his conviction. Liang and his partner were fired after the verdict.